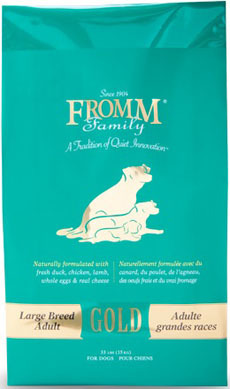 Fromm Gold Large Breed Adult Dog Food is made with fresh Wisconsin Duck, fresh USDA Chicken, fresh, low-ash Lamb, fish, whole eggs and real Wisconsin Cheddar Cheese. This amazing formula is enhanced with probiotics to aid digestion and salmon oil for a healthy coat. There is added chicken cartilage for natural Glucosamine. This product contains no corn or wheat. 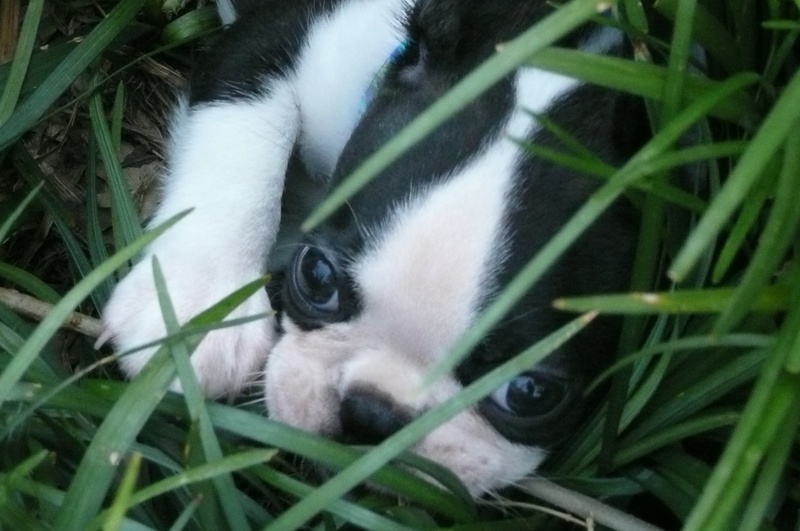 Your dogs will love this great tasting, holistic dog food! Duck, Chicken Meal, Chicken, Oatmeal, Pearled Barley, Brown Rice, White Rice, Tomato Pomace, Whole Egg, Menhaden Fish Meal, Lamb, Potato, Chicken Fat (preserved with Mixed Tocopherols), Cheese, Salmon Oil (preserved with Mixed Tocopherols), Flaxseed, Brewers Dried Yeast, Alfalfa Meal, Carrots, Lettuce, Celery, Lecithin, Chicken Cartilage, Calcium Sulfate, Salt, Potassium Chloride, DL-Methionine, Chicory Root Extract, Yucca Schidigera Extract, Lactobacillus Acidophilus, Bifidobacterium Longum, Lactobacillus Plantarum, Enterococcous Faecium, Vitamin A, D3, E, B12 Supplements, Choline Chloride, Niacin, Pantothenic Acid, Ascorbic Acid, Riboflavin, Thiamine Mononitrate, Pyridoxine Hydrochloride, Folic Acid, Biotin, Zinc Sulfate, Iron Carbonate, Manganous Oxide, Copper Oxide, Cobalt Carbonate, Calcium Iodate, Sorbic Acid, Iron Proteinate, Zinc Proteinate, Copper Proteinate, Manganese Proteinate, Sodium Selenite. Victor Grain Free Ultra Pro Adult Dog Food 30 Lb. OC Raw Beef & Produce Patties 6.5 Lb.